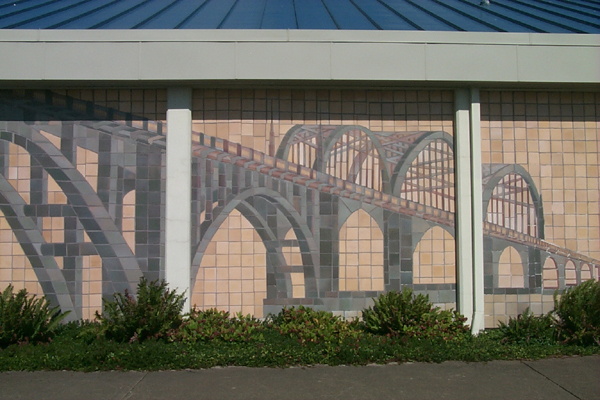 The Alsea Bay Bridge mural was designed and created by Susan Springer and Illahe Tileworks. 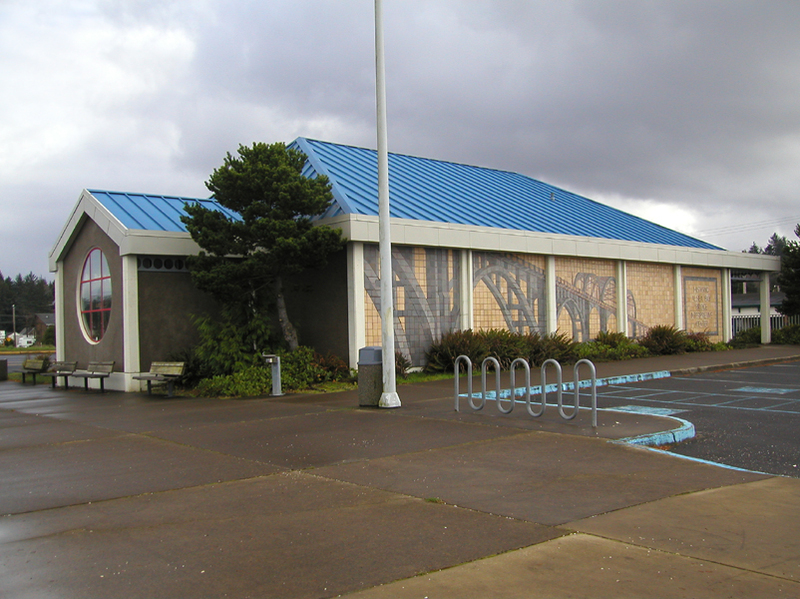 Funding for this and other “public art” projects comes from Oregon’s 1% for Art Program, whereby all new public buildings must allow 1% of their total budget for creation of juried art, to be installed for public perusal. The installation is permanent, durable and easy to maintain. 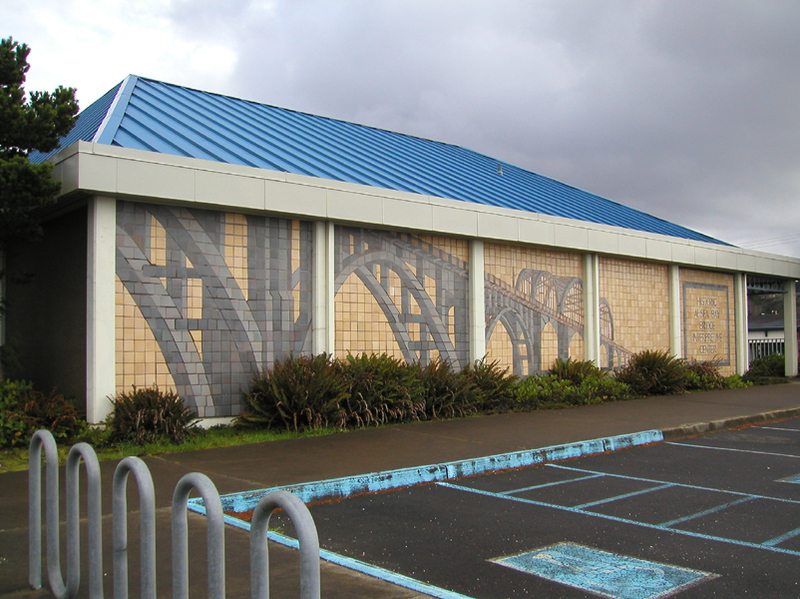 Measuring 10 feet in height and 55 feet in length, it includes a donor recognition panel for the supporters of the historic Alsea Bay Bridge.